Juvéderm Vollure is a soft, hyaluronic acid injectable gel filler that treats moderate to severe wrinkles and nasolabial folds that run from the nose to the side of the mouth. Hyaluronic acid is naturally occurring in our skin, and promotes skin hydration and keeps the skin looking younger. As we get older, our skin stops producing as much of this component and that’s when noticeable signs of aging begin to surface. When injected, Juvéderm Vollure can fill in static wrinkles and folds for a younger smile. 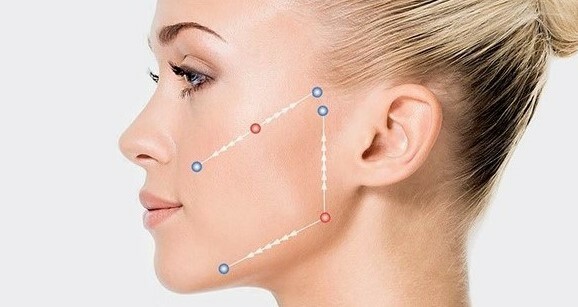 To begin your treatment, you will have a chance to express your concerns to the expert injector and they will mark the areas to be injected. Once the determined areas are marked, a fine needle is inserted to inject the fillers. Most Juvéderm fillers contain lidocaine, which is a type of anesthetic that will help numb the area making it less painful. Patients can expect to see results right away with the appearance of their wrinkles and folds found around the mouth. Most patients only need one treatment to accomplish their desired look, however, some patients like to start small and add more volume after a few weeks. The results have been shown to last up to 18 months and touch-ups will be needed after the 18 months for best results. The two great improvements that have been made with this new formula is the lasting power and minimized swelling. These improvements truly make Vollure unique from the other products in the Juvéderm family. Post treatment, many patients experience minor redness and swelling at the injection site. Any redness, swelling, and potential bruising should last less than one week. Usually any of these minor symptoms can be eased with applying an icepack to the affected areas.